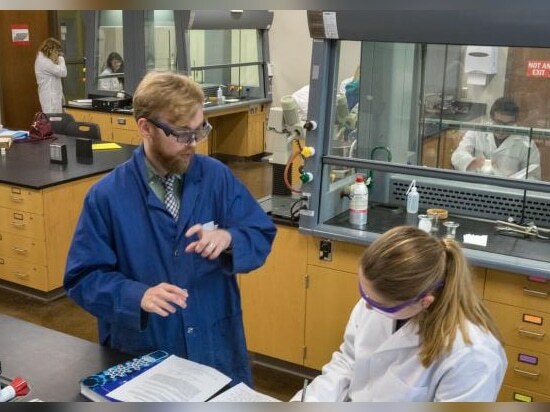 News & Trends> Industry News > Laboratory > Center for the Sciences—Chemistry & Biochemistry Building, Valparaiso University, Valparaiso, Ind. 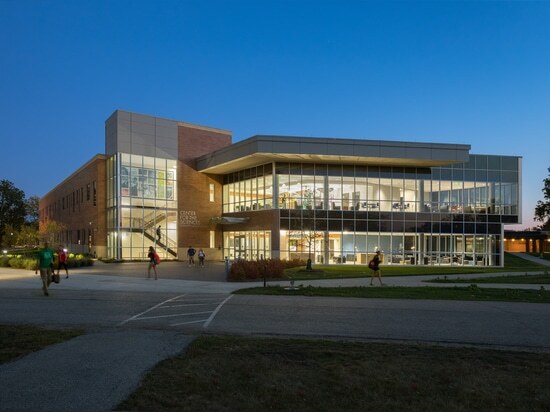 Center for the Sciences—Chemistry & Biochemistry Building, Valparaiso University, Valparaiso, Ind. 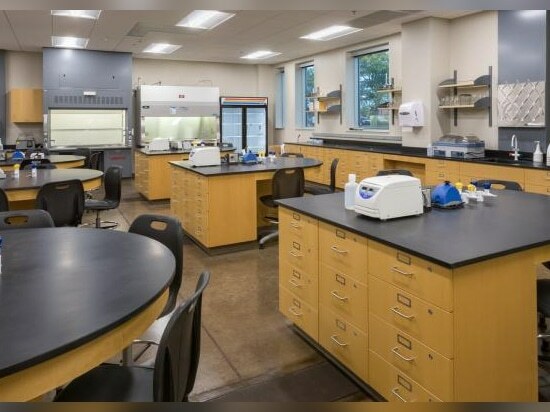 This project completes the first phase of the University’s proposed STEM Village by locating the facility proximate to the existing College of Engineering complex. 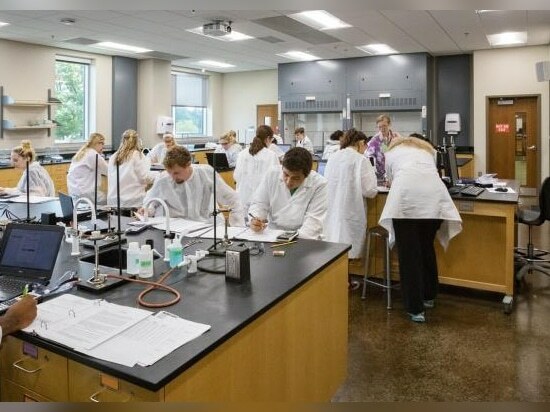 The accommodation of relocation of Chemistry and some Biology laboratories into the new building also allowed for the renovation of vacated space in the existing Neils Science Center for other programs such as Anatomy and Physics teaching laboratories and faculty/student research laboratories. 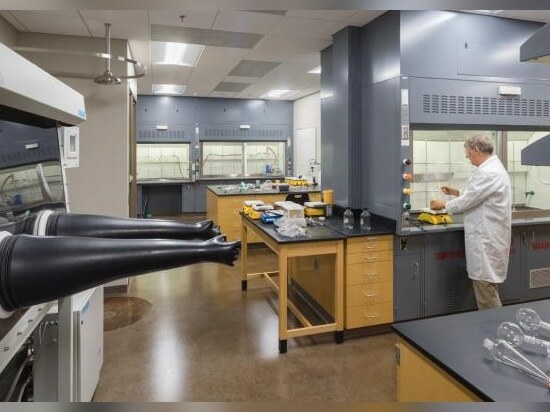 The new facility is approximately 60,500 gsf and houses 21,800 nsf of laboratory and laboratory support space for the Departments of Biology and Chemistry. 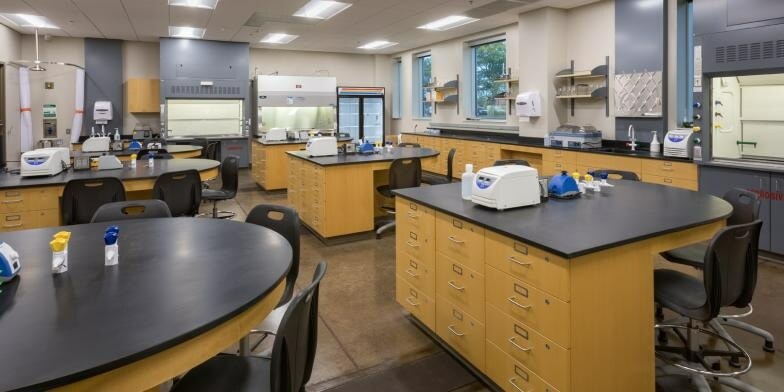 The facility includes instructional laboratories, faculty/student research laboratories, and office areas to support the needs of the departments. 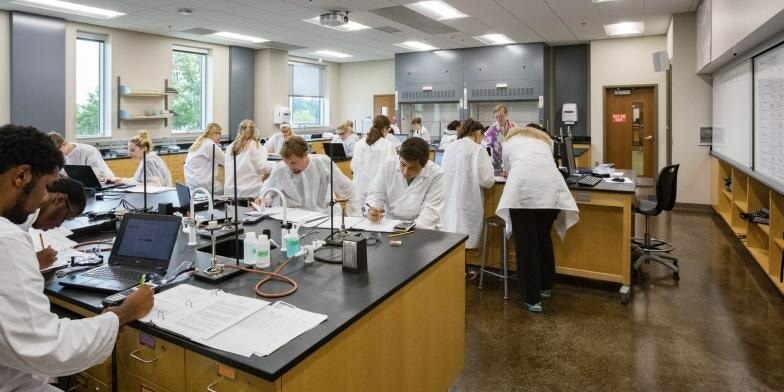 Instructional laboratories include Biochemistry/Molecular/Cell Biology, Microbiology, Genetics, General Chemistry, Organic Chemistry, and Physical/Quantitative Chemistry. 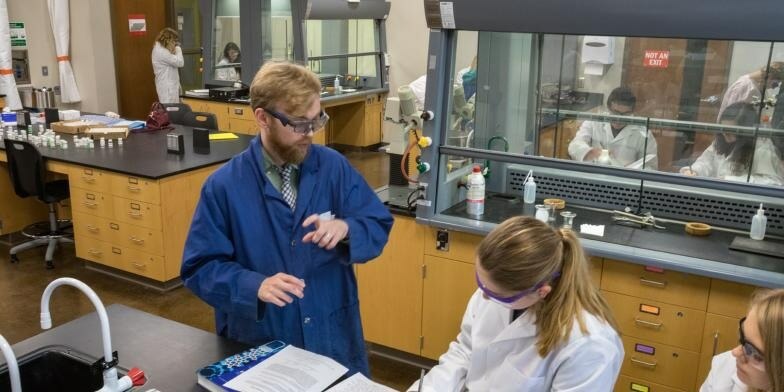 Faculty/student research laboratories include Environmental Chemistry, Synthetic Chemistry, Physical/Analytical Chemistry, and a shared open Interdisciplinary Research Laboratory to promote flexibility and collaboration among the faculty and student researchers from different disciplines. 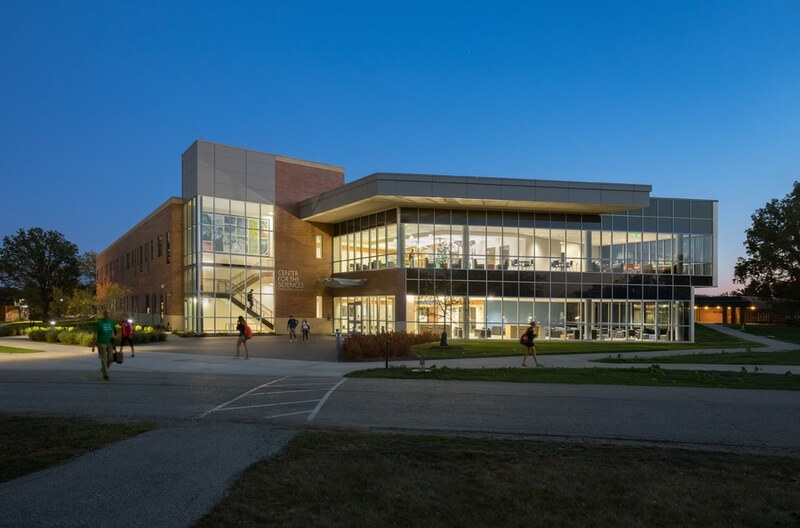 The building is equipped with an array of spaces to support and encourage collaboration including open and enclosed Student Study Spaces, Break Room and Data Analysis Room. 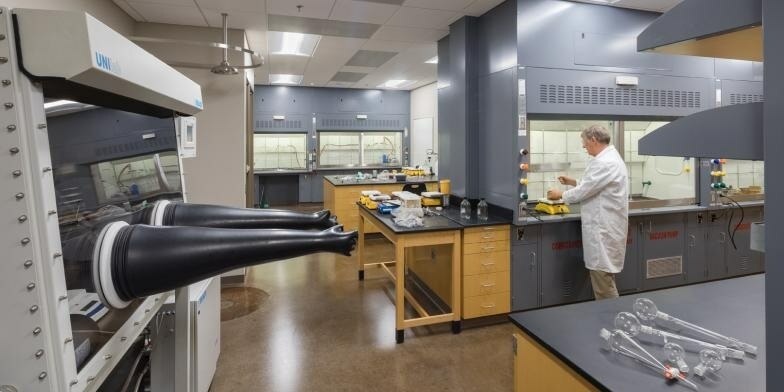 Faculty offices are clustered in suites on each floor to encourage faculty interaction and provide efficiency of sustainable mechanical system design.